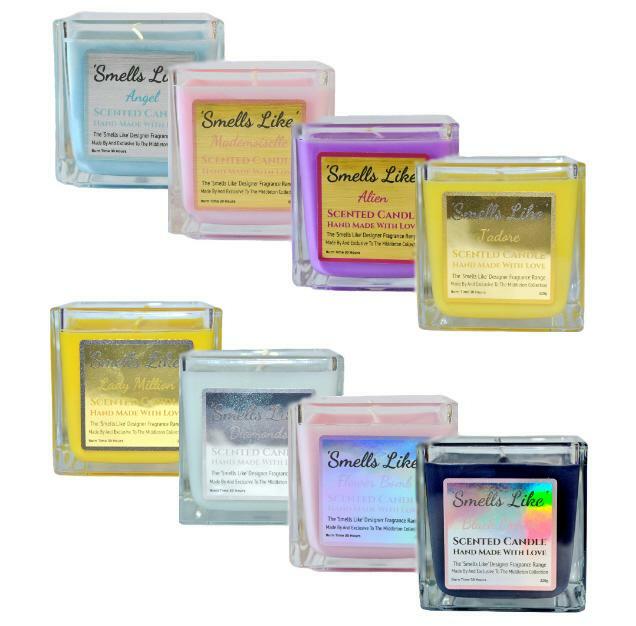 Made exclusively by us here in Middleton, the 'Smells Like' range is the perfect gift for perfume lovers, enabling their favourite fragrance to permeate throughout their home. 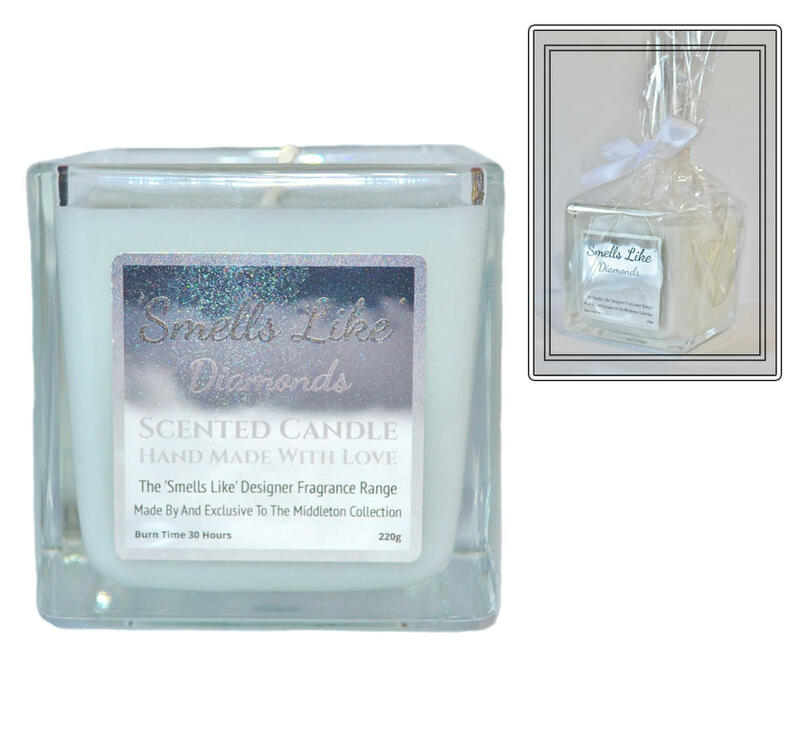 These designer perfume fragranced candles smell just like the real thing and are presented in chunky glass cubes that can be reused when the candle is spent. They feature attractive metallic labels and come gift wrapped. Please note, we are in no way affiliated with the designer fragrance company. 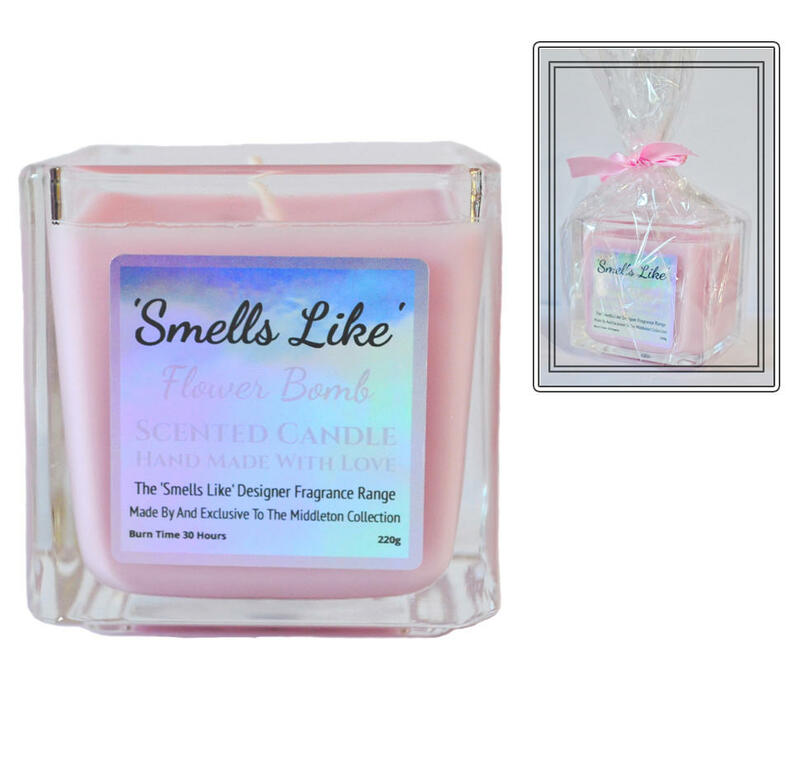 Our candles simply smell similar to the popular high street brands. Choose from Angel, Mademoiselle, Alien, J'adore, Lady Million, Diamonds, Flower Bomb and Black Opium. Buy two and save a pound! H: 8cm. W: 8cm. D: 8cm. Burning Time 40 hours. 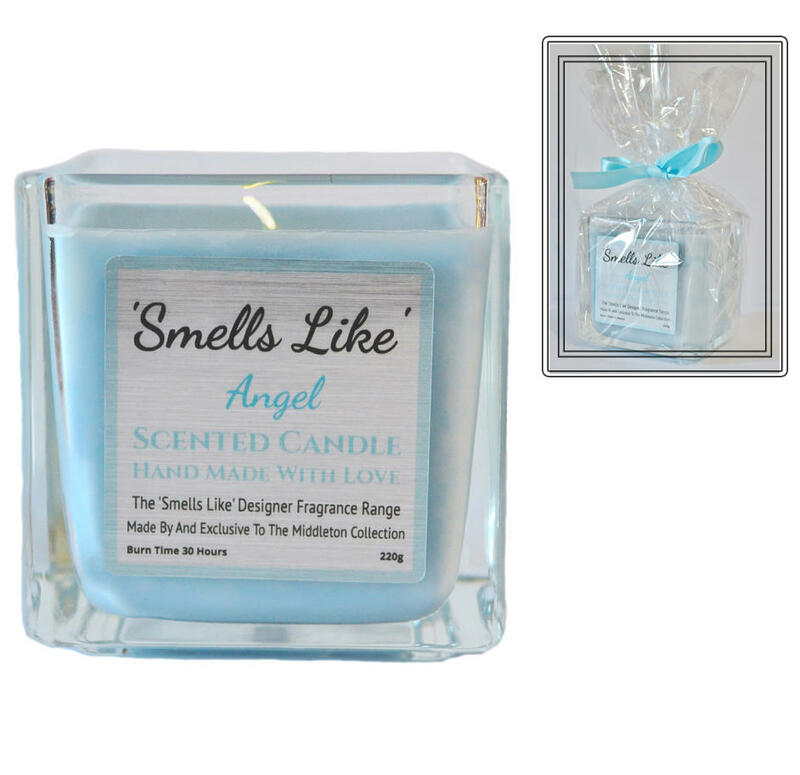 I can honestly say that the Angle fragrance is fabulous and it burns for a long time it's now my 3ed week and I don't what it to end Highly recommended. Looks nice,and perfect level of fragrance. As an asthmatic,I can't use room sprays,but no problem with this. Will be buying more. Love the flower bomb,smells just like the perfume,and as a lovely bright glow. I tried out the Flower Bomb. It is gorgeous. I wear the perfume a lot so I’m a bit nose blind but my daughter says it spells just like it. It fills the room with perfume and looks lovely. Highly recommended. 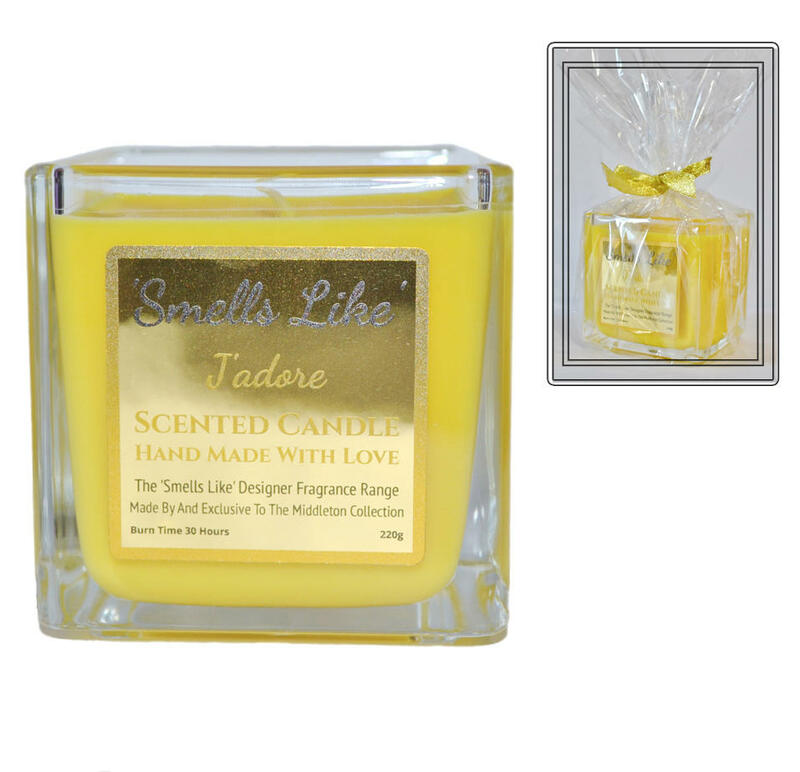 Smells like J'adore really does , the candle burns in excess of 34 hours on a constant burn , and fills the room with the delicious aroma of its namesake without being over powering , would recommend this for anyone! Love these candles. Bought 4 different ones now. Burn a different one to suit my mood. Lovely glow and smell amazing.